January 2, 1912 flies for first time a Cuban in an airplane, Agustin Parlá Orduña, in Havana, accompanied by the pilot Charles F. Walsh. After this flight Parlá receives courses of pilotaje in the School Curtiss of the Florida and is converted in this manner in the first graduate Cuban pilot, at April 20, 1912. Parlá and another Cuban pilot, Domingo Rosillo, compete in a Flight of audacious crossing the Florida strait in May of 1913. This it was the first international flight of the aviation in Latin America, establishing Rosillo a world record of distance May 17 when flying in its Bleriot XI the 90 miles since Key West until Havana in 2 hours and 40 minutes. This record was snatched nothing less than to the famous pilot and French aeronautic designer Luis Bleriot. With this flight earns a prize of $ 10,000 by being the first pilot in crossing that route. Few days later, May 19 1913 Agustín Parlá performs the second international flight in the route Key West, Florida to Havana, Cuba. The first flight Santiago of Cuba - Havana with scales, is made May 24, 1915 by the Cuban pilot Jaime González Grocier, with a duration of 7 hours. May 12, 1919 the first airplane property of the Cuban government is baptized, with the name of "SUNSHINE". In this airplane May 29, 1919 Agustín Parlá performs the first commercial flight with United States. Little later, June 29, the first air photos of Havana are taken, since the same airplane "SUNSHINE". Taking advantage of the economic prosperity of the country, is constituted in October 1919, the first Cuban aviation firm, the Compañía Aérea Cubana (Cuban Air Company, CAC), founded by the enthusiastic of the aviation and Cuban man of business, Anibal J.of Table, who employed to Agustín Parlá as General Manager. Fortunateless, this business to stopped functioning a year and three months later, due to the unexpected economic depression of Cuba. The C.A.C. had six airplanes Farman, brought to Cuba in ship. It established various services, as the air school with Farman F-40, flights of observation around Havana, investigations and air photograph. It flew with Farman F-60 Goliath from Havana to Santiago of Cuba, throught Santa Clara, Cienfuegos and Camaguey. In October 1920, the C.A.C. inaugurates the line Havana-Cienfuegos-Santa Clara with two flights of departure and weekly return. The prices by this route were of $50.00 and $70.00 from Havana to Cienfuegos and Santa Clara respectively, and $25.00 among these two cities of Las Villas of Cienfuegos and Santa Clara. Is produced the July 4,1920, when the Morane Saulnier used by Rosillo, take off in the farm "La bien Parecida" in the neighborhood of Luyano, in Havana. Here lost the life their two tripulantes after the take off. One of the deads was is the Tte. Jaime González Crocier, one of the pioners of the Cuban aviation. The catastrophe occurred in the farm "La Fernanda", by the bridge Alcoy. It had performed the first flights crossing Cuba and in 1920 united the western coasts with the orientals in its monoplan Bleriot. November 1, 1919 the American company Aeromarine West Indies Airways (A.W.I.A.) begin regular flights of passengers betwen Key West and Havana, being the first flights of this type in America. A year later, November 1, 1920 the A.W.I.A. 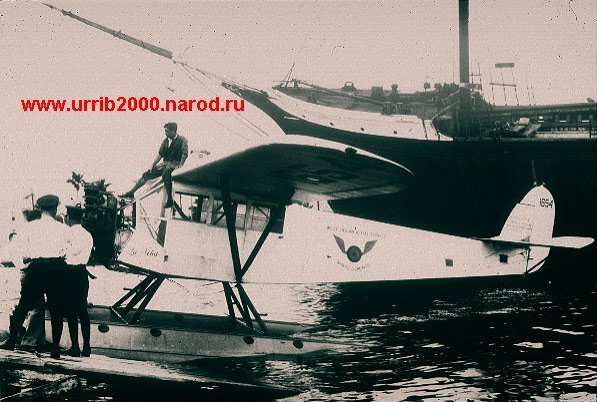 inaugurates daily regular flights to transport correspondence of Havana - Key West with flying boats Curtiss Type F5-L, among them the "Santa María" and "La Pinta". Also it began with flights of passengers in the same airplanes, where they could carry 11 passengers in each flight. It was done possible after that August 25, 1920, the American "Florida West Indies Airways" (F.W.I.A., founded April 13, 1920) signed contract with the US Postal Office for the foreign correspondence. This it was the first mail air contract in the history of the United States. Little later the Aeromarine, a aiplanes building company, bought the F.W.I.A., and begin its flights to Cuba as Aeromarine West Indies Airways Inc. (A.W.I.A.). In 1923 the Aeromarine ceases its operations by financial problems. In January of 1921 closes operations the C.A.C. (Compañía Aérea Cubana) by the impact in the national economy of the crisis in the market of the sugar. The foreign aviators follow hitting the island. Thus in February of 1921 carries out various flights in the camp of Columbia the French woman pilot, Madame Harveux. In December of 1922 arrives at Cuba the little fleet of German flying boats Junkers. 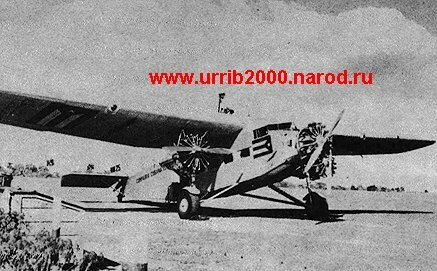 December 22, 1922 one of the flying boats Junkers, carried out a flight since The Chorrera (Havana) until Santiago of Cuba. The interest by the aviation revives when a delegation of the aerolínea Colombian SCADTA arrives at Havana in 1925, of trip toward the USA. The Colombians seek a sure route to the United States and they see to Havana as one of the main points of the route. But the US Department of State denies the permission. They impede that the Dornier Wall of the SCADTA take off from Cuba. These they are dismantled and envoys to Colombia in ship. However, this petition of the Colombians stimulates the American official interest toward the aviation to the foreigner, especially for air mail. And the initiative arises of founding the Pan American Airways, that enlarges the American influence in the zone and influences in the Cuban aviation. The Pan American company had great influence in the development of the Cuban civil aviation. To gain the contract of exploiting the mail line Havana - Key West, the Pan American Airways decides to do a demonstration flight. 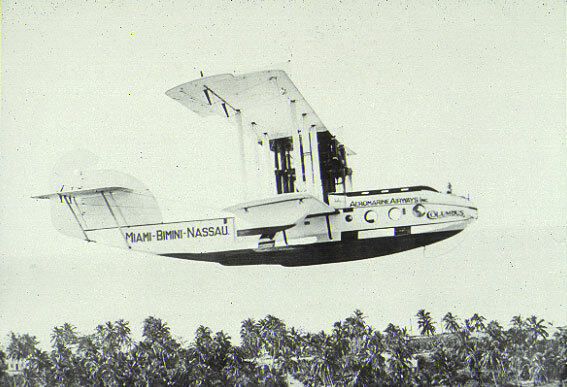 As it did not have an adequate airplane at that moment, decides to use a flying boat Fairchild FC-2 call "La Niña", of the West Indian Aerial Express (W.I.A.X. ), a small company what works in Dominican Republic. The Pan American pays to its pilot Caldwell 145 dollars to carry mail to Havana. This doubtful demonstration, performed October 19, 1927, served so that the US Postal Office gave the contract to the Pan American. The apparition of the aviation caused a great impact in the relations between Florida and Cuba. With the pass of the years a current of tourists began to travel to Cuba in nocturnal exotic search of life and tropical beaches. The Cubans at the same time travelled to the Florida to buy American merchandise. The Cuban music, dance like the cha-cha-cha and the mambo and the food native they were put fashionable in the United States. The first international flight of the Pan American is produced October 28, 1927: Two weeks after its "flight of demonstration" an tri-motor airplane Fokker F-VIIA of the Pan American, wood made and lined of fabric, loaded the bags of mail of the United States, and taking off from a way of ground in Key West, Florida put bound for Cuba, and an hour and 10 minutes later, landed in Havana, to a distance of 90 miles. The officials of the Cuban government, including the President of the Republic, General Gerardo Machado y Morales, left to receive the flight. The airplane was baptized with the name of "General Machado". In three months the new airline began to fly a tri-motor Fokker FX of 8 passengers as well as mail, with a daily itinerary among the Florida and Cuba, besides doing plans to extend its routes to the remaider of the Caribe and America Latina. January 9, 1929 arrived at Havana the airplane of Pan American Airways Ford 5-AT baptized with the name of "Cuba", to inaugurate an air route among United States, Havana, Santiago of Cuba, Port-au-Prince, Santo Domingo and Puerto Rico. 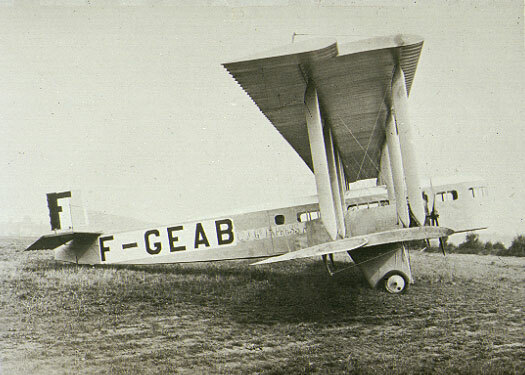 El 20 de febrero de 1928 la W.I.A.X., competidora de la Pan American en la zona, inicia sus vuelos a Santiago de Cuba desde Santo Domingo, República Dominicana, vía Port-au-Prince, Haití, con aparatos Keystone Pathfinder. El 1 de diciembre había iniciado sus vuelos a San Juan de Puerto Rico y Port-au-Prince. Para esta fecha ya era una amenaza para los intereses de la Pan American. Ésta responde con un golpe definitivo: el 16 de octubre de 1928 compra a la W.I.A.X. Con estos nuevos recursos, la PanAm abre sus servicios a otras rutas a través de Cuba. February 20, 1928 the W.I.A.X., competitive of the Pan American in the zone, began its flights to Santiago de Cuba from Santo Domingo, Dominican Republic, way Port-au-Prince, Haití, with planes Keystone Pathfinder. December 1 they began its flights to San Juan of Puerto Rico and Port-au-Prince. For this date already was a threat for the interests of the Pan American. This responds with a final blow: October 16, 1928 purchase the W.I.A.X. With these new resources, the PanAm opens its services to other routes through Cuba. February 8, 1928 arrives at Havana, Cuba from Haiti, in flight of good will, the hero of the aviation, Charles A. Lindbergh, at the controls of the famous one "Spirit of St. Louis" and this day is declared as "The Lindbergh´s Day". After its historic flight over the Atlantic, Lindbergh hit many countries in its airplane and as remembrance of its visits, the flag of these countries was painted in the fuselage. The Cuban flag is the last one because after this trip, Lindbergh retired its airplane "Spirit of St. Louis" and it give to the Smithsonian Institute, where today are in exhibition in the Museum of the Air and of the Space, in Washington, D.C. February 12, 1928 the President Gerardo Machado flies with Lindbergh over Havana. The infrastructures of the island are expanded. In March of 1929 through the General Order. 223 is authorized the creation of what is today the International Airport "José Martí", in Rancho Boyeros, Havana. The airport is inaugurated February 24, 1930 with the name of "Gerardo Machado". 1933-1938, Cuban Military Aviation. The 1933 Revolution and her consequences.